I will probably be doing a few mini/quicker reviews this week since this time of the year is very busy for me (and many others). However, I did want to talk about this little gem that arrived in my mail the other day. 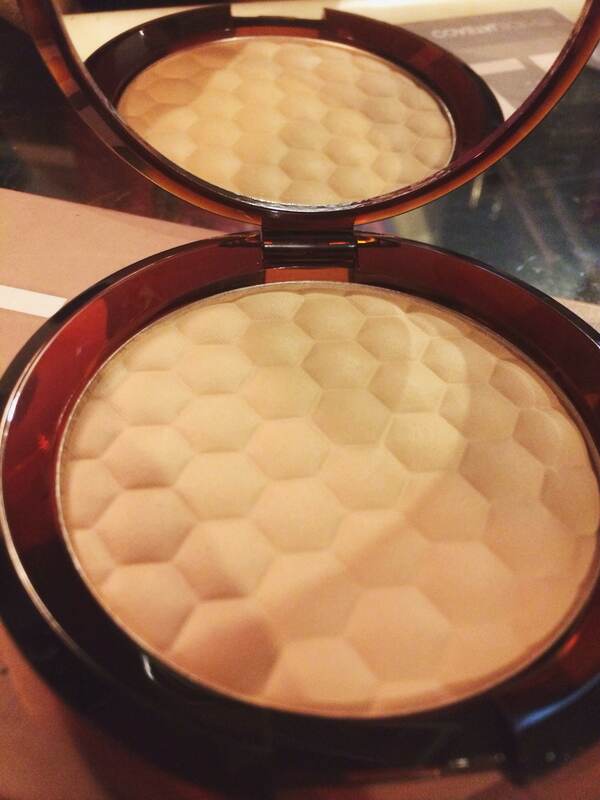 I’m not a huge bronzer fanatic, mostly because most bronzers tend to make me look orange. I think this is a problem for many people with very pale skin. However, I’ve seen Essie from EssieButton talk about this bronzer a million times, and when I finally found it for 50% off and with free shipping on The Body Shop’s site, I decided to give it a try. I got the shade light (duh) and it is indeed very light and very matte. That’s right, there’s no shimmer in this baby and that’s downright amazing. I applied this after I contoured my face using Nyx’s blush in “taupe” and this bronzing powder did not look orange, and it did not turn orange throughout the day. I went to a dinner/baking party last night and when I left 5-6 hours later I noticed my face still had a pretty nice (but very subtle) bronze glow to it. I now see why Essie raves about this product so often. -Price. It’s $20 regular price, which is higher, but the body shop has sales so often that it would be easy to catch it at a great price. Overall, I’m very happy with this product and will continue to use it as my go-to bronzing powder for now during the Winter. I would definetely reccomend this to any other pale friend out there that struggles to find something that doesn’t look orange on their skin.